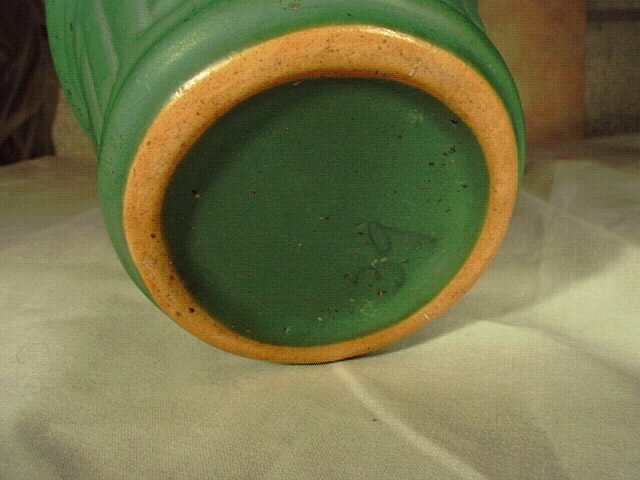 Description: Early Roseville Matte Green flower pot. 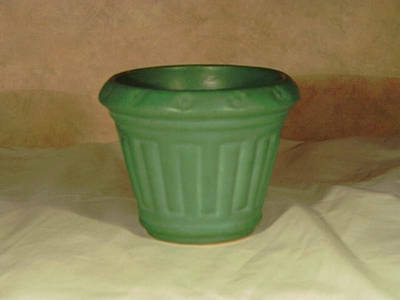 Shape 549-4. 4 inches tall. 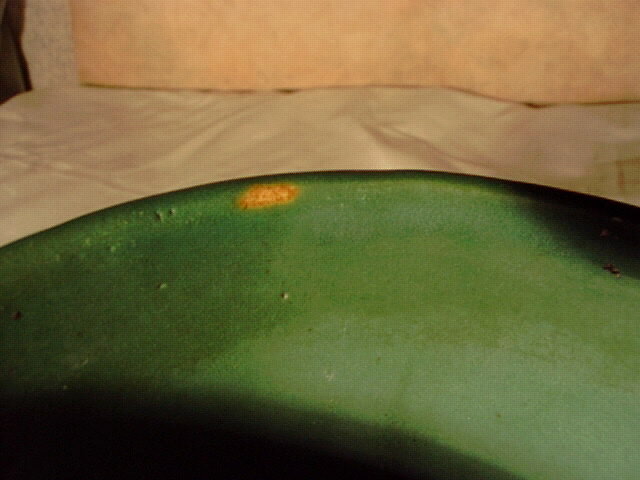 A few rubs on inside rim. The photo makes it look like a chip, but it is not. Some small black speckeling on one side (probably removable). Great Arts and Crafts look.